Victor Fiorillo at phillymag.com offers a piece on the arrest of the Antifa leader for being part of a mob that assaulted two Marines in Philadelphia. It has been more than two months since two United States Marines said they were assaulted in Philadelphia by a “mob” just blocks from the controversial We the People Rally, and now a third man has been charged in the attack. 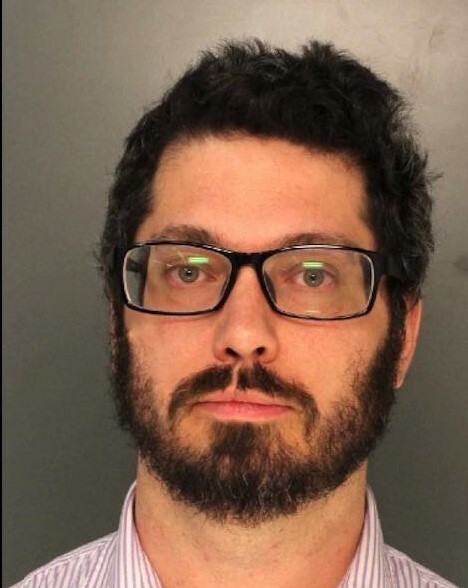 The Philadelphia District Attorney’s Office has charged 37-year-old Washington, D.C., resident Joseph Alcoff (seen above in his mugshot) with aggravated assault, ethnic intimidation, and conspiracy — all felonies — among other charges. He has pleaded not guilty and is currently out on bail. Note: I suggest these Antifa tough guys go to Cookies’ Bar at 12th and Oregon in South Philly on the Marines’ birthday and tangle with those Marines.